I have a recent infatuation with orange. Not sure why. I suppose we all go through strange phases from time to time. To further prove my point, let me direct you to my Pinterest Board set aside for all things orange. I kid not. Check out that adorable handbag. Now I just need to convince hubs it's a practical color. As I've worked my way through the last few weeks of the challenge, I've tried to veer on the side of nature when thinking of photo ops, as to reflect autumn at it's best. It is such an exquisite time of year here in the midwest. However, due to time restraints and all, this time around I cheated just a little. I actually purchased an orange gerber daisy. And yes, I know this is not typically an autumn flower. It is, however, one of my favs. It is also orange. And it turned out to be better than some of my other ideas. So, how could I deny you? :) In case you haven't noticed, I love simplicity. A beautifully executed simple shot can speak volumes. At least to me. For my collage today I am mixing old with new, so some of these may be repeats for you. The center leaf shot was in the running for Still Life Standouts. Today I am deep in the throes of packing, purging, and possibly pulling my hair out. Moving is a pain in the you-know-what. Please bare with me in the coming weeks as we transition to a new state. Thanks so much for the visit! I look forward to checking out your beautiful orange photos! Next week’s theme will be red. 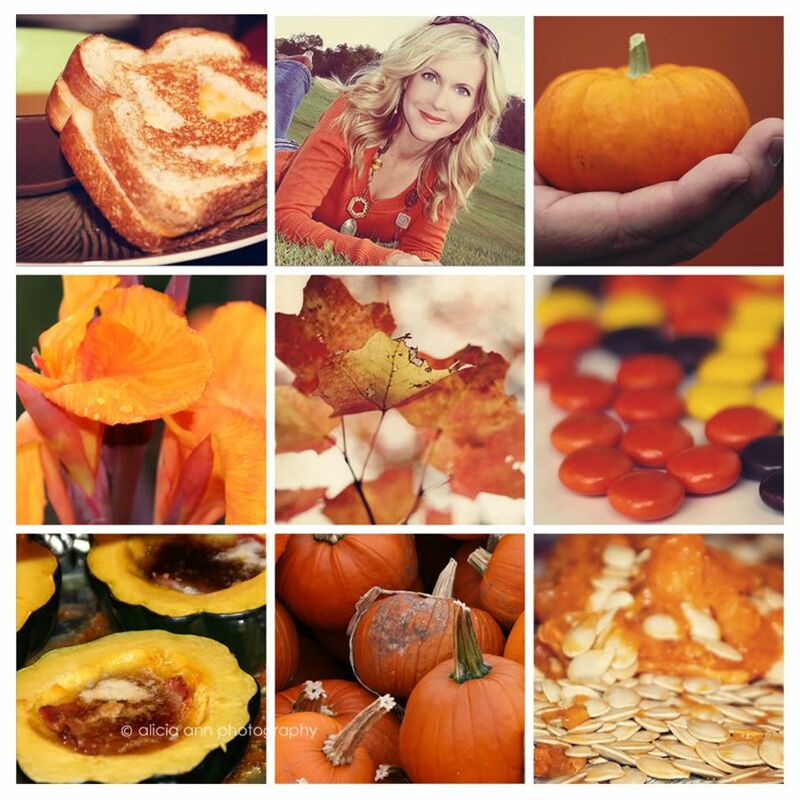 For a complete list of upcoming themes, head on over to the Shades of Autumn Photo Challenge Page. Of course you know I voted for you! And your collection of orange photos is absolutely lovely. You weren't kidding when you said that you have an infatuation with orange! Too much going on here tonight with my grandfather, but I'll be back to pin something from your post to our board sometime this weekend. Good luck with the garage sale repeat! These are all beautiful! The pumpkin is my favorite, if I had to choose! The idea of using scrapbooking paper--fantastic--so creative! Good luck on your move! Love the jack-o-lantern sandwich lol! You look lovely in orange. what a wonderful set, all of the images! Hi lovely ladies! I found orange TRICKY this week (so I slightly cheated by supplementing with a couple of 2010 pics - hope you don't mind!!) Looking forward to snooping round all the links. 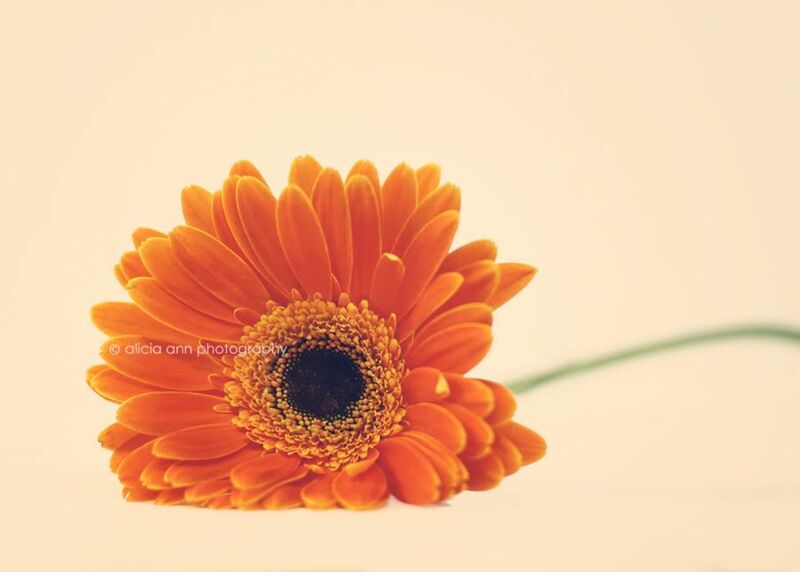 ps I LOOOOVE the macro orange segment and the gerbera - Fabulous! fantastic photos. love the macro orange fruit. I am loving all things orange too - your images are beautiful, particularly the one with the pumpkin. Orange is the coolest colour ever! And I love that gerbera - it looks just like one from our wedding bouquets (bright pinks and oranges). And by golly, I've never seen an orange I want to eat more than the one in your last shot...wowee! Wonderful impressions in orange and autumn colors. Beautiful ! I'm loving all of this orange - to me the most expressive colour of autumn. Those gerbera petals look like velvet! 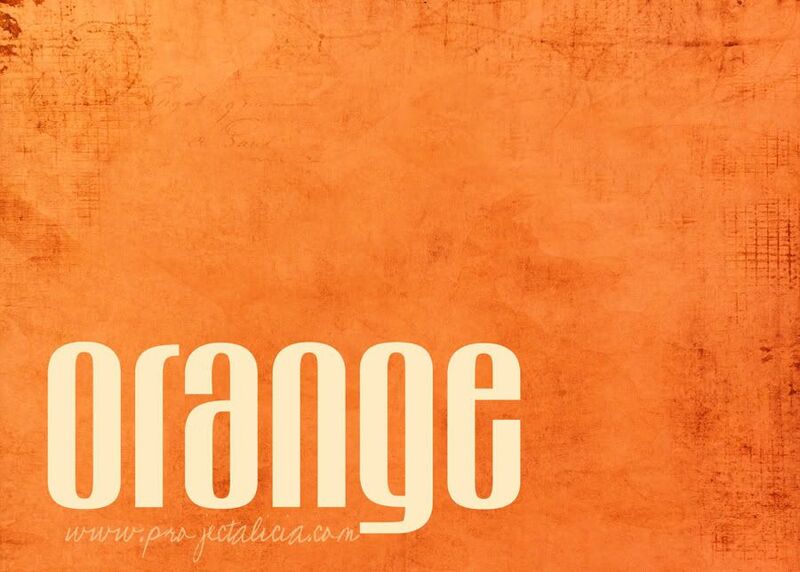 Orange is so happy, you found so may wonderful shades of orange. Lovely! Love all the photos. Your Mini Pumpkin entry is so cute. I, too, use a lot of Shadowhouse textures. I'm loving all of the orange! The gerbera is my favorite! Love the pumpkin goo. There's something so soothing about that photo - I imagine sticking my hands in it. I just love that feeling. Love the orange slices too! Alicia these are amazing. Seriously. I love every single one. Love your collection of orange...my favourite is the mini pumpkin in the palm. All stunning shots Alicia- I too have been obsessed with the fall colors in everything I do- orange included. It can be that perfect pop against a nice neutral like grey or tan- or my personal fav- denim. :) Hope things are going well in "moving mode". Can't wait to hear more about it. 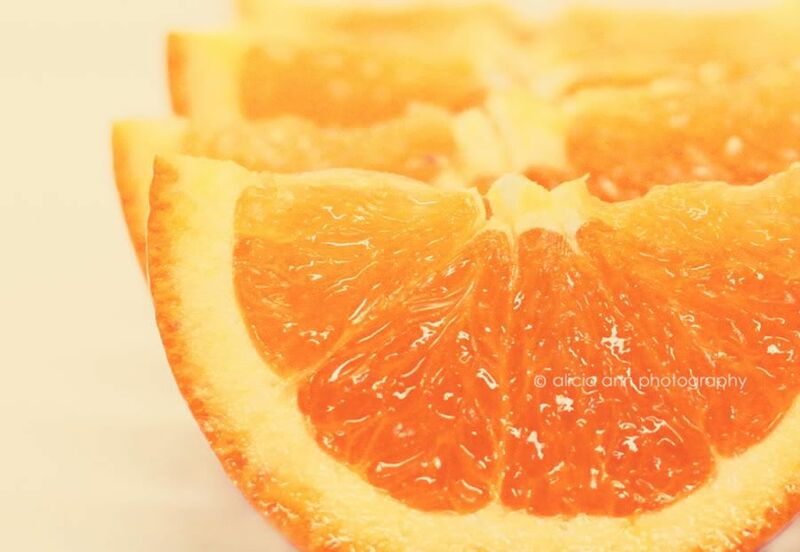 So many beautiful orange photos - love the literal orange. Love these Alicia, and I also might have to head on over to your pinterest board to re-pin thoe orange striped curtains, wow. 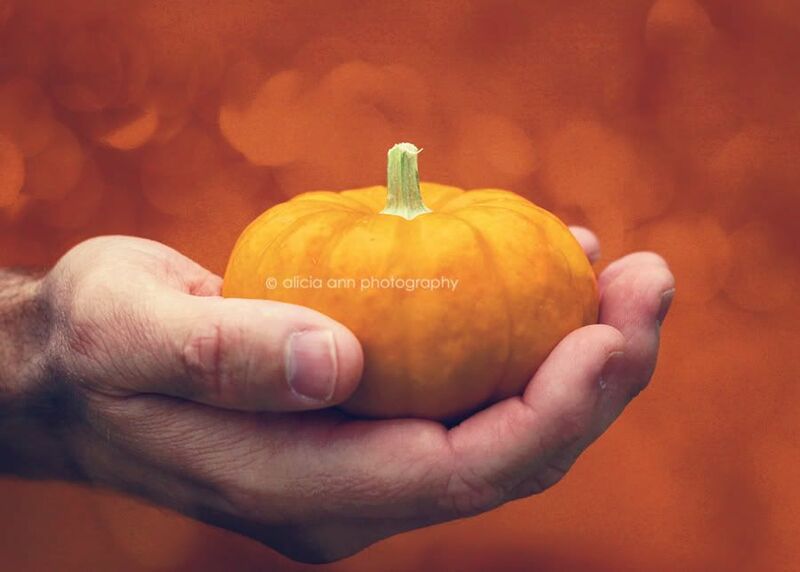 Love the mini pumpkin photo, great idea for the backdrop! Fun pictures, my favorite is the baby pumpkin and the orange slices. Good Luck w/ packing and purging. I just have to say how much I appreciate you hosting this challenge and sharing your knowledge. I am gleefully posting my little point and shoot pics and then visiting site after site attempting to soak up all the know how I can. Even though my shots can't compare to others' the challenge has me looking at the world more closely and experimenting with my camera more. What a joy! Thanks for giving me the opportunity! i heart orange! great photos! first time linking up... love FALL. yay for orange :D cant wait..
What a beautiful portrait of yourself. You are totally rockin that orange. Those oranges look so very yummy, too. They pop off the screen, and I want to pluck them straight into my mouth. I love oranges! Thank you for hosting this challenge, I have been enjoying it immensely. I love the pumpkin seed photo the best, very creative!! The gerber daisy is gorgeous! I love the bokeh texture. So cool! I have to go get it now! I am GOING to learn to use textures. I know they will make my photos more beautiful! Gorgeous pictures Alicia. I can't understand how do you have time to do all this considering the move! Wow! What a great collection you have! Especially love the one with the hand and the little pumpkin. Wow!! These are outstanding. Love the orange! Stunning orange photos. I love the variety of orange you shared. Thank you!